Compared to spiral wound gaskets, Black-Max® seals better with our Exfoliated Graphite and has much better recovery properties. It also weighs less than half of that of spiral gaskets, so they are easier to handle and you will save on freight charges. 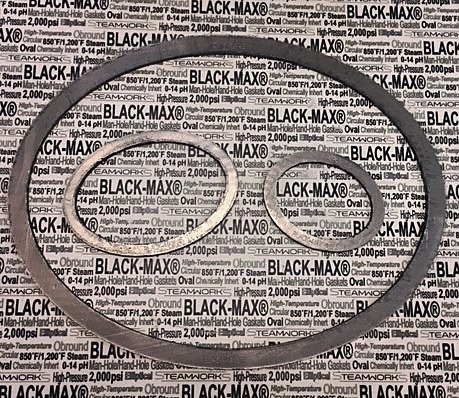 And while spiral gaskets require near-perfect conditions, Black-Max® gaskets seal on rough, pitted surfaces under less compressive load.